LuLu International Exchange is a part of the larger LuLu Financial Group (LuLu FG), an emerging global Non-Banking Financial Group. With the opening of the new branch, the cumulative branch count of LuLu FG has now risen to 45. The group currently has operations in Oman, Kuwait and India apart from UAE. “The Group is looking further to expand in Bahrain and Qatar by 2013 as a part of its expansion plans in the Arabian Gulf region and countries in the Asia Pacific region such as Australia, Malaysia, Philippines and Indonesia in the near future. We already have liaison offices in India and Bangladesh to facilitate smooth functioning of the group’s remittance business operations and provide the best services to its customers" emphasized Adeeb when asked about the group’s expansion plans. “With this branch in Naif Road, we intend to take money transfer services closer to our target customers in the Deira and nearby areas. It is and will be our ongoing commitment to enhance customer experience by identifying customer requirements and providing quick solutions. This branch will also handle the wholesale currency operations of the company”, he said. The senior officials of LuLu FG and other special invitees were present on the occasion. The UAE operations were initiated in September 2009. Since then LuLu International Exchange has been constantly growing by garnering the trust of customers. The exchange house well known for its customer centric approach and value-laden service provides safe, reliable and quick services for its customers to send money to their loved ones across borders. Apart from sending money, customers can also get their foreign currency exchanged at the most competitive exchange rates clubbed with personalised customer service. LuLu International Exchange also offers value-added services such as NoL cards, Salik cards, Utility payments, National Bonds, Mawaqif etc. to its customers. 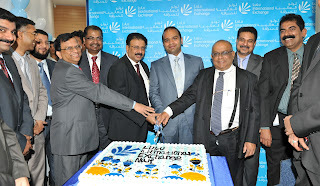 LuLu International Exchange currently has 17 branches across UAE. city would be dedicated on Monday, September 10.
pipeline gas distribution project of GAIL stands up as a solution. involved in the transportation of such fuels. from Udyogamandal to Ambalamugal has now been completed. it to reduce costs, becoming environment friendly. cooking gas and utilize it for other productive purposes. GAIL has laid 30 inch pipeline from Puthuvypin to Udyogamandal. From Udyogamandal to Ambalamugal it has laid 18 inch pipeline. convinced about the safety of the project. pipelines are laid can be used again for farming. ROUis usually acquired in 30 meters width for laying the pipeline. But in Kerala, this has been reduced to 20 meters. GAIL will acquire only the right to use of the land for the project. land, GAIL will pay as per the P&MP Act. leak. This will reduce the chances of an explosion substantially. station (in 50 cent each) and 5 IP station (in 1.25 acre each). Thrissur, Malappuram, Kozhikode, Kannur etc. Cheemeni projects can also look forward to using RLNG as fuel. 3000 Crores per annum as Cenvat from its Dahej LNG terminal. Cochin, September 5, 2012,: Mahindra & Mahindra Ltd. (M&M), India’s leading SUV manufacturer, kick starts the Spice Challenge 2012 in association with Mercury Himalayan Explorations. It promises to be one of the most scenic and competitive TSD (Time, Speed, Distance) rallies with big prize money on offer. Currently in its second season, the rally will see participation from over 40 Mahindra vehicles that would take on the challenging route of more than 700 kms in 3 days. Held under the Mahindra Adventure umbrella, it is part of the Challenge series of motorsport events that were launched last year. A unique concept, as the name suggests, TSD rallies are not only about speed. The driver and the navigator are expected to keep track of time in tandem with the distance covered. The Spice Challenge 2012 promises to be one of India’s most competitive and scenic TSD rallies, which will start from Cochin. The rally will then make its way through the green rolling tea estates of Munnar, the serene backwaters of Alleppy ending up at Poovar. Enroute, the participants will navigate highways, B-roads, rough road stretches, while experiencing the magnificent monsoons and spices gardens as a backdrop. The participants also get to experience God’s own country, whilst staying at authentic houseboats. With total prize money worth Rs. 3 lakh on offer, this event is being held exclusively for Mahindra vehicle owners. The event has also been duly approved by the Federation of Motor Sports Clubs of India (FMSCI). The Mahindra Spice Challenge route is chalked out by the Mahindra Adventure team in association with IMSC (Indian Motor Sport Club), while the ‘With You Hamesha’ service team will ensure that participants can enjoy the rally unhindered. A unique concept to showcase the off-roading capabilities of Mahindra vehicles, Mahindra Adventure will function as an umbrella brand with a series of adventure and motor sports events organised under its banner. Mahindra Adventure will unleash a series of events throughout the year such as the popular off-roading event, the Great Escape and several Challenges, which are sporting events in keeping with the company’s promise of providing adrenalin pumping challenges. Other events include the Multi-Day Escapes, such as the Monastery Escape (10 days) & Royal New Year Escape (6 days), the Tri- Nation Escape (Bhutan, India & Nepal- 14 days), Authentic Goa (4 days) & Wild Escape (6 days). Kochi 6th September 2012:In tune with Le Méridien brand’s passion towards art and architecture, Le Méridien Kochi played host to “Expressions”, a seven day art camp at the hotel earlier this year. 10 participating artists from India came together to express an assortment of thoughts onto their canvas. The exhibition of the completed paintings from the camp will be inaugurated by Dr. K. S. Radhakrishnan, Chairman, Kerala Public Service Commissionon 8th September, 2012 at 6 pm at The Art Corridor, Le Méridien Kochi. The corridor will adorn the concluded works of Anil P.G, Babu K.G, Bindhi Rajagopal, K.A Devadas, Dhara Mehrotra, Falghuni Bhatt Sanghvi, Francis Xavier, T. J. KajalCharankatt, Prathapan G and Wilfred K. P.The event and exhibition is jointly organized by Palette People and Le Méridien Kochi. “This venture supports emerging and talented artists and is also in tune with Le Méridien brands passion toward art and architecture. The Art Corridor itself is a Corporate Social Responsibility initiative to support emerging artists and our art camp was one such attempt to provide a platform for deserving talent”, said Mr. Cyril P. Jacob, Curator, Art Corridor Kochi. The collaborative camp had set stage for the artists to exchange ideas and laid a great opportunity to learn and improve. Each had selected different themes that had inspired them the most. The architecture of the hotel and the scenic beauty that embraced the state also paved way for creative inspirations. The exhibition will conclude on 30th September. Le Méridien Kochi has been regarded as one of Kochi’s most exclusive addresses since its grand launch in April 2001. This prestigious landmark houses 5 floors of luxurious accommodation for international business and leisure travelers. The 223 spacious rooms and suites, most with breathtaking views over the manicured gardens and the backwaters, are outfitted to meet guest's modern needs yet still retain the elegance and warmth of Cochin's heritage. Le Méridien Kochi is managed by Starwood Hotels and Resorts Worldwide, one of the world's largest hotel and leisure companies. Le Méridien brand mission is to provide its guest not only a great stay but an active discovery that they themselves control. Their stay with Le Méridien will inspire them to be creative by giving them a new perspective. Le Méridien creates a feeling of personal growth, enrichment and a sense of community and affiliation beyond delivering a beautiful design, an accommodating room and a comfortable bed. 07 September 2012, Kochi: In view of the reservations and misgivings emanating from several quarters about ‘EMERGING KERALA’ and its objectives, this is to present the position of Confederation of Indian Industry (CII), the leading industry organization of India. CII has been associated with the Government of Kerala in organizing ‘Emerging Kerala’ and there is a very clear understanding of the purpose of this initiative. Emerging Kerala is not an event, it is an initiative of Government of Kerala to position Kerala and its strengths rightly in a globally connected world, and the event on 12-14 Sep in Kochi is the first step of this initiative where global leaders - business leaders, politicians, ambassadors, academicians, entrepreneurs, et al will discuss and debate opportunities and challenges that Kerala presents. The state has tremendous potential as an investment destination, most of which are not known to the outside world. The event will help showcase the strengths and capabilities of Kerala. The three day event will serve as a platform for Government officials, thought leaders, industrialists, foreign missions and other key influencers to meet, discuss and debate how these strengths and capabilities can be leveraged to make Kerala an investment destination of choice. ‘Emerging Kerala’ is not an investor meet where MoU’s or business contracts are slated to be signed. No proposals will be firmed up in haste nor will any plan prejudicial to the interest of the state be considered. All investment opportunities which attract interest will sbe subject to requisite clearances and approvals from appropriate authorities, before it is taken forward. The Government of Kerala has publicly gone on record to give this assurance on several occasions. Hence there is no room for any misgivings about ‘Emerging Kerala’ and its objectives.